We are experiencing technical problem in Paypal. 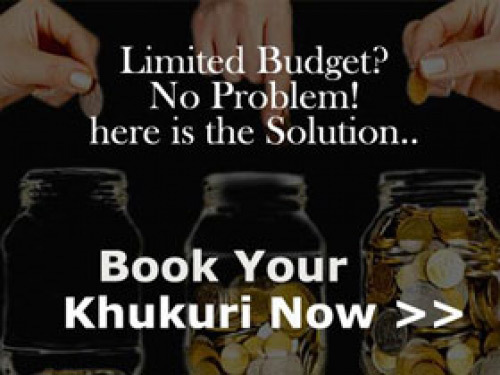 Should error occur try few times in regular intervals to reload OR simply email us at customercare@khukurihouseonline.com or chat/leave offline message. Best to use our another payment option in Checkout page. read more .. 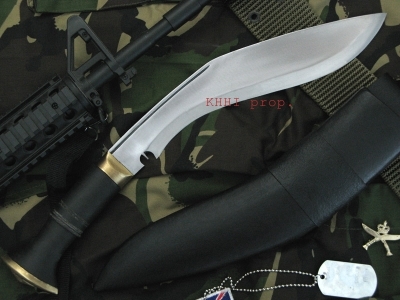 This kukri is basically the “World War” version widely used by the Gurkhas during world war days however with an improved finishing. Unlike its siblings, the blade is semi-polished and has a fuller or hump that runs across from the tip to notch area on the surface panel. 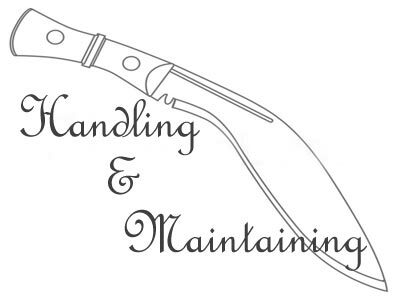 It is made so to give more strength and durability to the width of the blade while in use. The curvature will give much needed support to the flat surface for heavy duty work as it helps to reduce tension that is generated when stroked hard against a target. It is also a display of true craftsmanship as it is the very hard to craft. Blade: The blade is 11inch long with semi-polished finishing, it also has a fuller that runs across from the tip to notch area on the surface panel, and this gives blade the much needed durability and this fuller’s act as shock absorber. 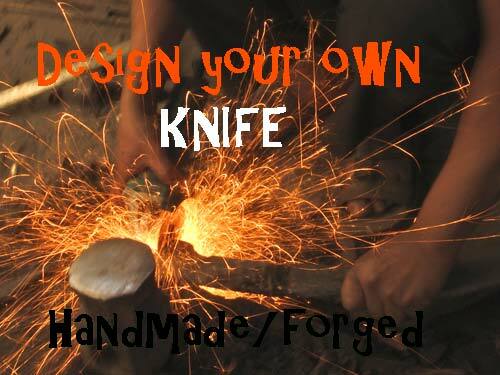 The knife is especially designed or made for heavy duty work. 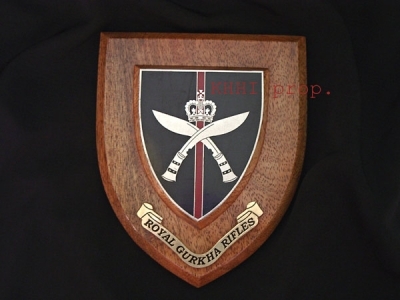 This fact is well supported by its special craftsmanship of the blade (full layer) and handle (full tang) of the kukri. 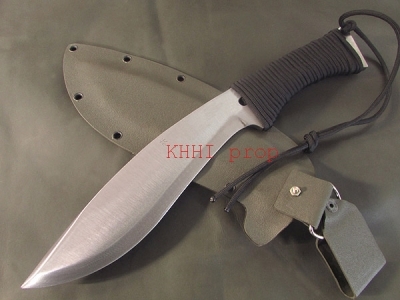 Handle: The handle is traditional style made of Indian rosewood to give a matching look with the kukri but also to ensure sturdiness. The flat tang goes through all the way towards the end of handle which is fitted by rivets to strengthen the overall fixtures. 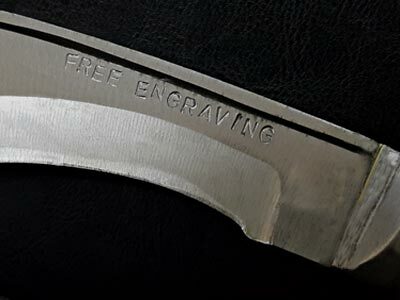 The tang is seen going through the handle. 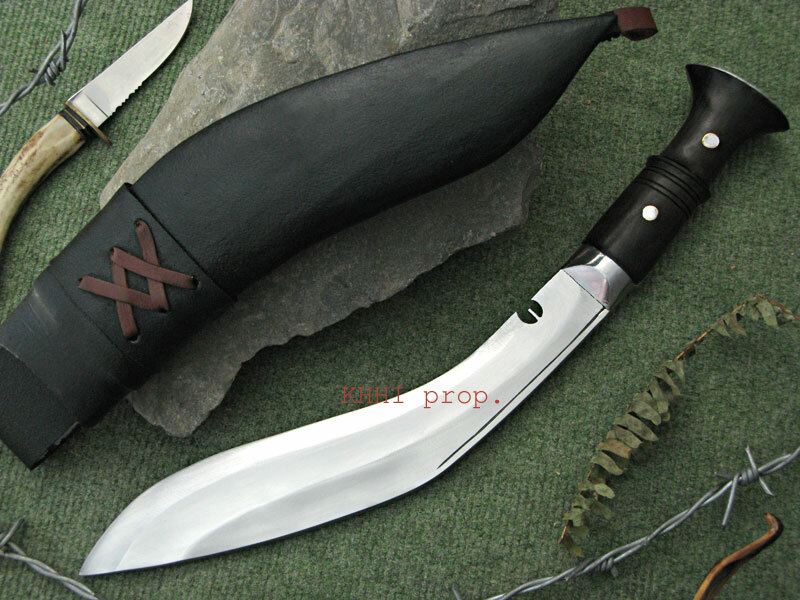 Scabbard: It has a normal black leather scabbard made from buffalo leather however a brown leather thong is double crossed in the front face to give a different look to the sheath. 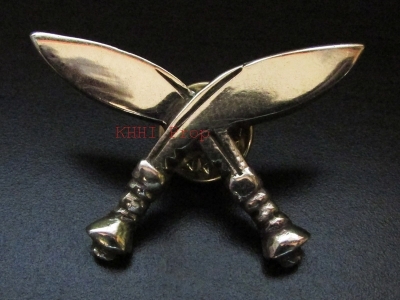 The tip features a small brown lanyard loop just in-case one needs to tie the kukri around his thigh. 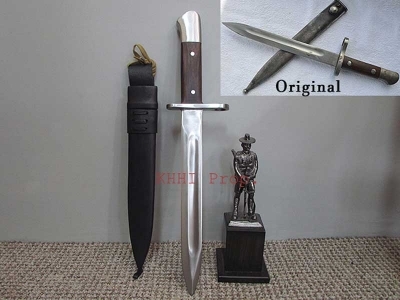 ​The scabbard is wood covered with Water Buffalo Leather, with a leather loop at the tip, in case you wish to tie the scabbard to your leg. 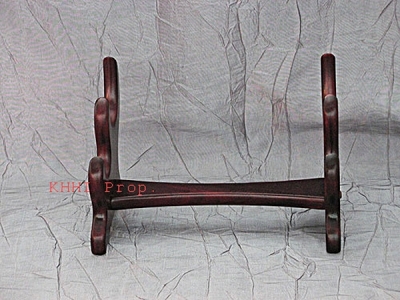 Give us your valuable review on our items. 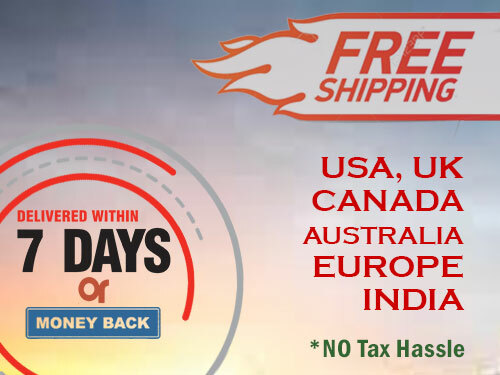 Delivery within 7 Days or Money Back! !